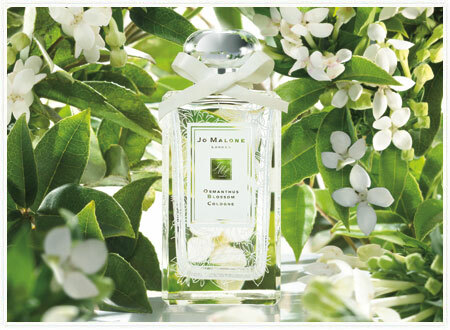 Jo Malone Osmanthus Blossom sticks to the citrus and apricot side of the equation. Osmanthus Blossom opens with a sweet apricot note, delicate but still luscious. I was prepared to be unimpressed by Osmanthus Blossom (last year’s limited edition Jo Malone, Sakura Blossom, did nothing for me), but Osmanthus Blossom was a true joy to have on my wrist. That is, for the first twenty minutes! After those gorgeous twenty minutes, as I have found to be far too common with Jo Malone fragrances, Osmanthus Blossom rapidly thins and loses its sparkle. I have disgustingly dry skin, so it’s very possible that others could experience better lasting power with Osmanthus Blossom. As pretty as I find Osmanthus Blossom (and that bottle! ), I can’t pay Jo Malone prices for a perfume that I would have to reapply literally every twenty minutes. But it would make me very happy to catch Osmanthus Blossom wafting off of someone else on a balmy summer day. This sounded like a lovely perfume and then I read that after 20 minutrs on your skin it almost fades away and doesn’t sparkle anymore. That’s too bad. Jo Malones can be so frustrating that way! I would buy a VAT of their Black Vetyver Cafe if it lasted even an hour. I like osmanthus a lot. I’ve yet to find my perfect osmanthus scent, though. Well, it might be Mona di Orio’s Oud (I need to retest). But, I can’t afford that ish. Oud is an osmanthus scent?? So confusing. Alyssa was educating me because I’d never tried an osmanthus scent before! I like the apricot-iness very much. Yeah, Mona paired the oud with osmanthus in that one, which is a pretty weird combo, but I love it. Have you tried LUSH 1000 Kisses? That’s a nice osmanthus. A lot of people also like Hove’s Tea Olive but I did not care for it AT ALL, one of the few total scrubbers I’ve found for me. Most of the Jo Malone’s disappear pretty fast on me too. It’s a pity because some of them really smell wonderful for that brief moment in time. I suppose if I really loved that first 20-30 minutes I could use it as a bedtime scent. Hopefully I’d be asleep by the time it vanished. Pomegranate Noir is the only one so far that has any staying power for me. I haven’t smelled Osmanthus but I love Alyssa’s description of it. 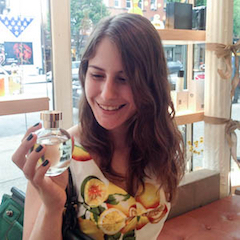 I can’t imagine how many people buy Jo Malones for their great openings and then find the scent totally gone by the time they make it home with their new perfume. Pomegranate Noir is one of the last JMs I haven’t tried! Do you like it, Poodle, lasting power aside? Actually, I do like Pom Noir. I think it smells like Christmas and New Years, or maybe just winter-ish. It would be great on a man I think. I must have worn it quite a bit this past winter because my bottle is almost half empty. There’s something I find cozy about it.